* Ok sorry I'm almost a year late but here it is anyway. Who scored when and where and who assisted, goal keepers who blocked penalty kicks in 2012 etc! 1)Wolf, Denis 33:44 - Assist from a Jason Sabio throw-in(1st International goal). Juani Guirado - 1st International Cap. Etheridge, Neil - Blocked a penalty kick. 1)Younghusband, Phil 10:00 - Assist, James Younghusband from a Sabio long throw-in(19th international goal). 2)Younghusband, Phil 72:31 - Assist, James Younghusband(20th international goal). How much is an Azkal worth, the 2013 edition. One of the most popular blogs I've ever produced is last years transfer market( here ) amount for our foreign based Azkal players, so I thought I'd update for you curious sort. First things first, congratulations to the coach, staff, managers and players for winning the PFPC trophy! It was a welcome sight to see the team bounce back from a dismal result against Chinese Taipei. A game where the game plan was found wanting with too much imagination and not enough real substance. "...I want to play very offensive, umm, very interesting style of football..." this is what our great coach has said in an interview prior to the game. This was the same thing he basically said in 2011 when he took over the reigns of the national team, the Azkals. Unfortunately the Philippines' later quality as a defensively tough and tenacious team has seemingly been paid little attention to by this head coach. Philippines vs Singapore, not your whipping boy anymore! 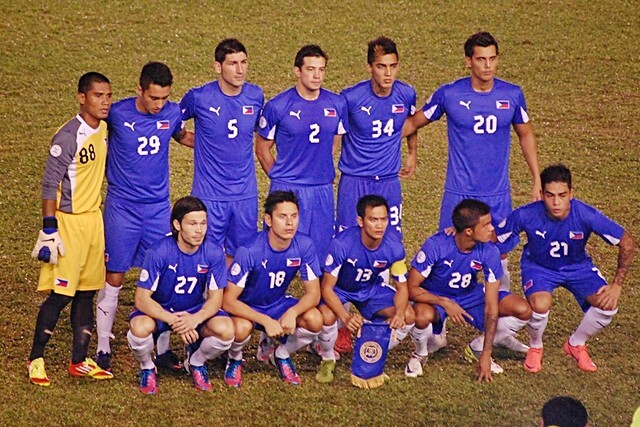 Excellent results for the Azkals last tune up game before the much anticipated AFF Suzuki Cup. Another historic first against a long time Philippine foil is just what the doctor ordered as at the very least the players and coaches comes into the "Group of Death" in a positive and winning mindset, and not against minnows, mind you. Sure you'd always want to be positive when rooting for your national team. Sure you know that it would be a mighty undertaking. Maybe deep down, you felt they'd probably lose because, well, it's just that the numbers call for a loss. They're the big boys after all and were the new guys trying to get a foot in the door. But sometimes while you may not get what you want, you'll get what you deserve. And we did! PFPC Azkals vs the Matao, in with the old, in with the new! I'm not going to do the typical game report as there are numerous accounts already available, I also promised myself I won't rant about both Younghusband's "situation" with the team management, so I won't. It'll be the typical Wiking player performance rants and a few random thoughts. Here's a quick post-week reader for all you Azkal fans who follow our foreign based national team members. Neil Etheridge(Bristol Rovers) - After a quick announcement by Fulham, Neil was shipped to League 2(4th tier) English outfit, the Bristol Rovers who are currently languishing at 23 of the 24 team league. Neil's presence quickly produced some acceptable results as they had their first cleansheet of the season after 7 league games. Next up for "The Gas" is an away game against powerhouse and current 3rd placer Exeter City on the 29th. So it's final then, Ray Jónsson's UMF Grindavík is, or rather will be relegated to the 1.Dield for the next(2013) season. Unlike last year when the team was saved by the "skin-of-their-teeth" that same luck would not continue on to this season. Today was Salgaocar FC's first game after signing Angel Guirado. It was a Federation(Indian) Cup match against fellow I-League team and big transfer market spender, Prayag United SC. 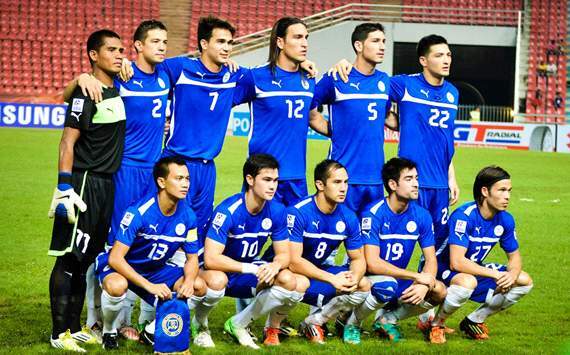 Azkals vs The Lions: History made! I'm not gonna write about how the match went, everyone has already, but let me just say for those who were unfortunate enough to miss it, it was history in the making! 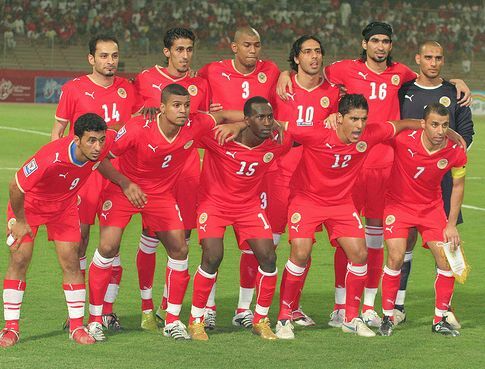 In my mind it should rank up there with the "Hanoi miracle", the 3rd place win in the 2012 AFC Challenge Cup and above the 2010 draw with Singapore!